Always imagined owning a tiny home outfitted with the things you love? Time to spend your life exploring. 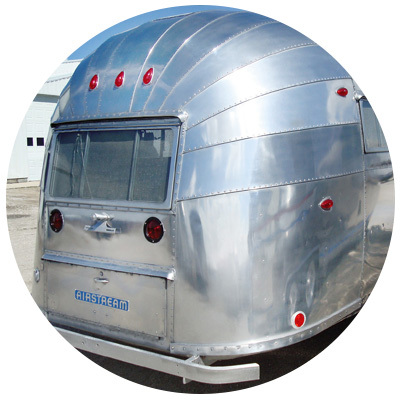 Airstreams are iconic American-built travel trailers that have been around since the 30s. Over the years, Airstreams have become a national treasure. They have traveled the globe and experienced lifetimes of adventure. Popular alternative names include Aero-stream, Silverbullets, and Streamlines to list a few. While there are several types of "aluminum" constructed trailers, the Airstream is considered the Cadillac over them all, and have proven their worth over time. 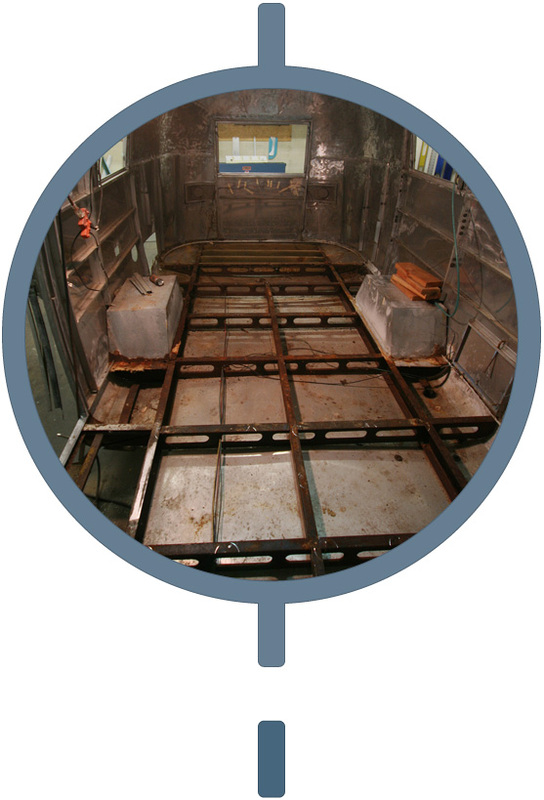 These trailer bodies are constructed solely out of aluminum and mounted to a steal frame using aircraft style sheet metal fabrication techniques. This gives them their recognizably sleek design and structurally sound frame. They are constructed in such a fashion that even after 50 years you can still refurbish a vintage unit to look better than anything you can purchase today. Once you fall in love with an Airstream there's no going back; most people are hooked for life. But they're not always attached to the layouts available or the condition of their unit... When investing in your future happiness every detail counts. 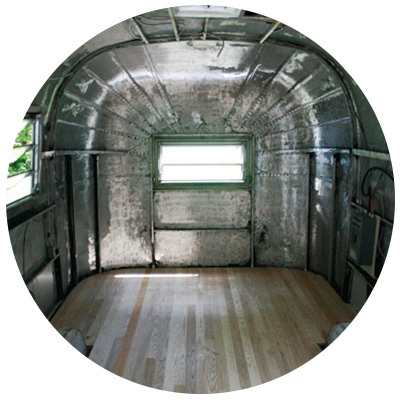 ESK Productions offers full restoration or renovation services for classic or new Airstreams. 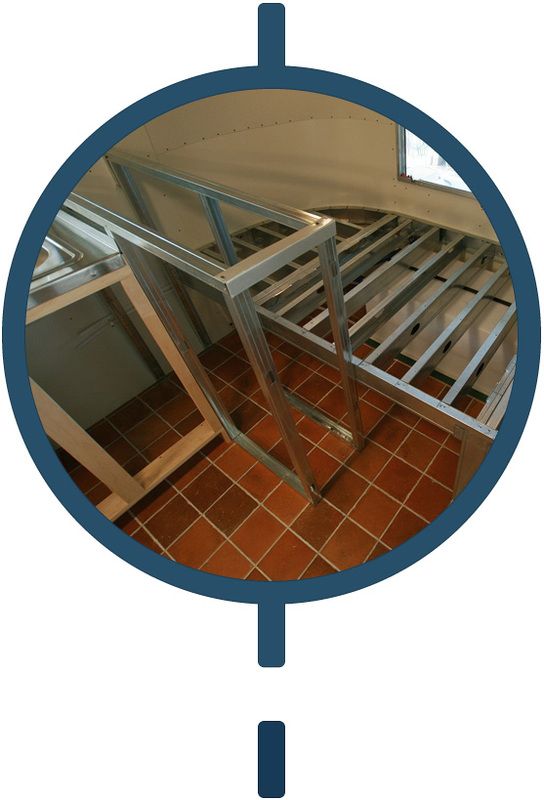 We give abandoned or re-purposed travel trailers new life by upgrading their dated structures, systems, and styles. 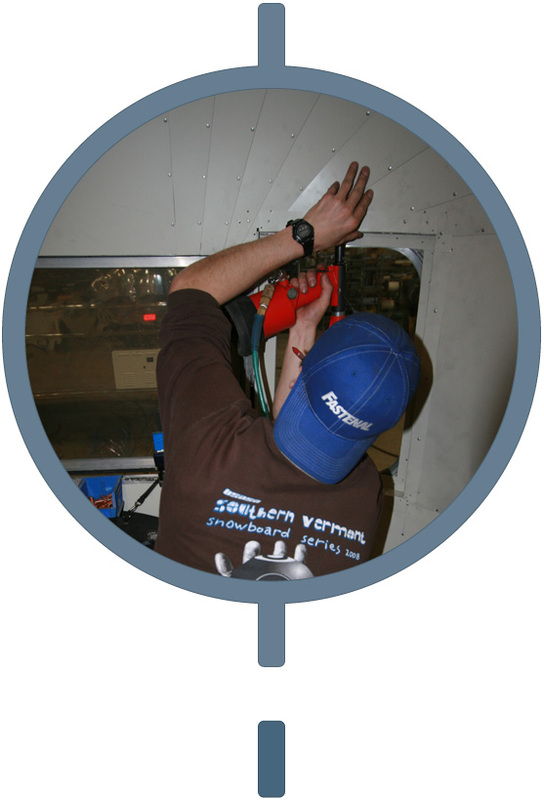 Our team can help you locate the ideal Airstream length and model to fit your personality and basic needs, or work with a unit you already own. 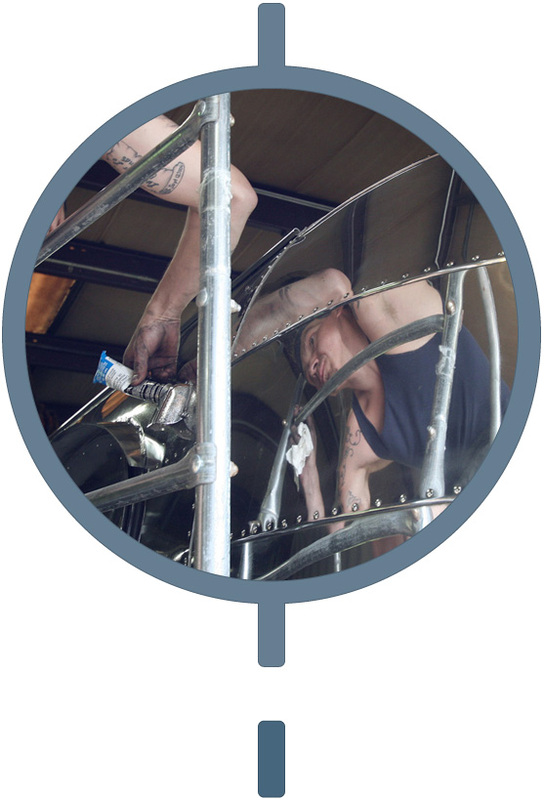 When it comes to Airstreams and custom fabrication, the sky is the limit. We learn what is important to you in a living or commercial space, then set to work creating a design you can't get enough of. From vacation spots to fully stocked year-round dwellings, ESK Productions has the expertise to build a mobile space that improves your daily routine. No two projects are exactly the same, but we do follow standard guidelines* for each of them. Read through our Five Stages Of Production to learn the ins and outs of how ESK tackles a customization project. Before anything tangible begins, we first need to understand your ideas, needs, and guidelines to determine an overall scope of work. We will speak with you to learn your basic design goals, your must-have elements, and what budget and timeline we have to work with. If you have an Airstream already in hand, we will need to know its specs ( Year/Length/Model/Etc) and go over its condition. If you do not have one we will discuss your options for obtaining a trailer. In this case, be sure to factor search and purchase time into the process. With the information you give us, we will provide an estimate range and a general direction. 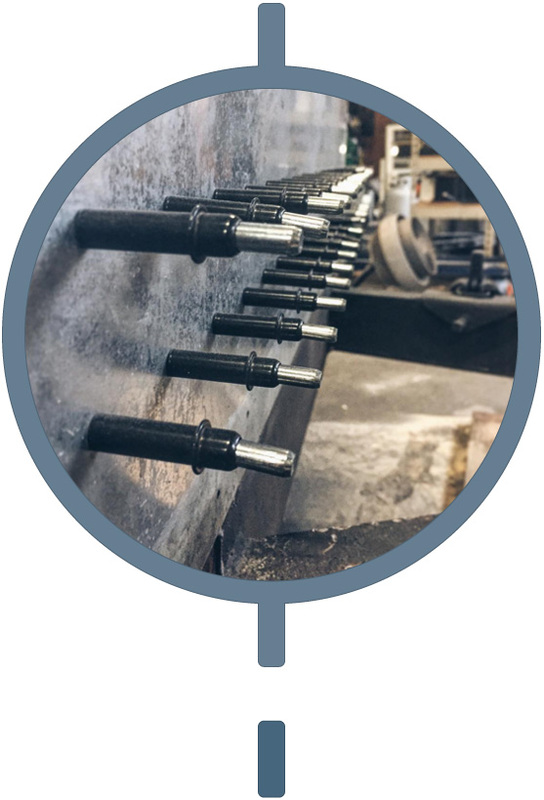 To secure your place in our production line and move forward, we require a small retainer, determined by your estimate. 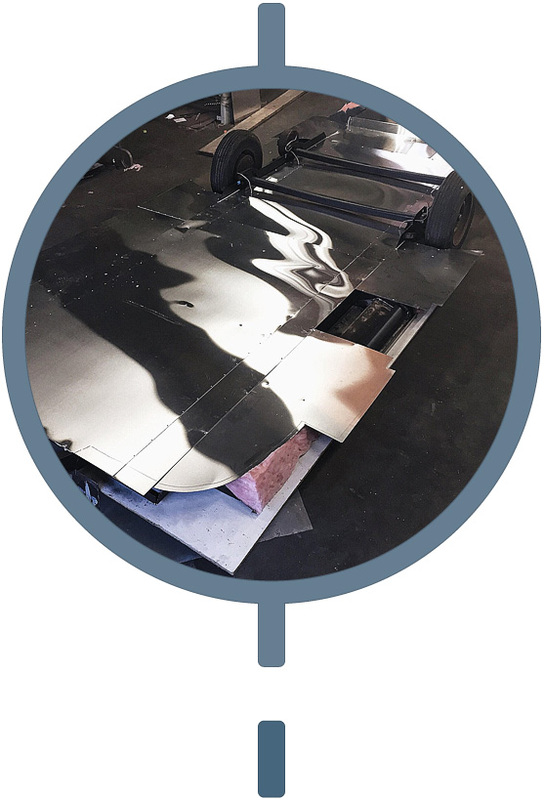 (6 Weeks) In our shop, fabricators and designers work hand-in-hand to discover the best solutions based on your specific project and type of Airstream. We have the ability to compose your layout from scratch or refine an existing setup you already enjoy. Mock-ups and schematics are drawn to visually represent our goals to you, this way you can get a good feel for the final result before making any big decisions. Once materials are chosen and details mapped out, we complete a quote and estimate how long the project will take. Everything will be sent for approval before physical work can begin. 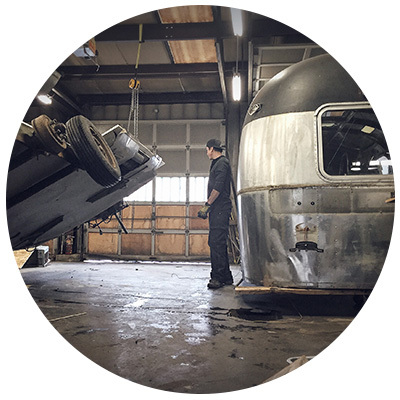 (0-2 Months) The first section of production at ESK is used to get your Airstream repaired, up to code, and structurally sound. The time for this section depends on the condition of the trailer. We will go through the unit to repair or replace elements such as: the sub-floor, exterior and interior skins, wiring, plumbing, appliances, and anything rotting or rusting away. We will also change the layout if needed, beef up the structure for future side openings, polish the exterior, do leak tests, and everything that must be done with the shell or skins off. From frame to surface, everything is examined and updated. By providing a solid and safe foundation first, we are ensuring a stronger result in the end. This way the finished product not only looks good but functions properly and is built to last. (2-6 Months) Flooring goes down, furniture is built, and fixtures are installed. All of the elements we have planned out with you now come together. We construct an interior that aesthetically works for you as well as the physical layout does. Combining the right materials, color schemes, and furnishings provides a comfortable space for you and your family or clients. Everything seems to move quicker at this stage since the changes are more visual. We will send images and updates throughout the process when we hit milestones worth noting. Toward the end of production, we invite you to check out the progress in person, or can do a more in depth digital walk-through to make sure the last details are accounted for. Altogether, the production stage (structural & interior design) typically takes 6-8 months total. After the main work on an Airstream is done, we go through and add final touches. Everything is cleaned, features are tested if time allows, and vinyl graphics are added if requested. We send out the final invoice and prepare for delivery. *These stages may vary slightly or overlap depending on the project. While most designers choose static walls over brick and mortar to work with, we prefer an Airstream as our blank canvas. Their shiny silver exteriors, compound curves, and uniquely small spaces call to us. It takes a high level of creativity and resourcefulness to work with these aluminum beasts, requiring a special skill-set and an abundance of patience to tackle. We have developed the necessary techniques and expertise needed to innovate the classic travel trailer to its fullest potential. With box trailers, storage containers, and other tiny spaces becoming all the rage, why does ESK choose to work with Airstreams? 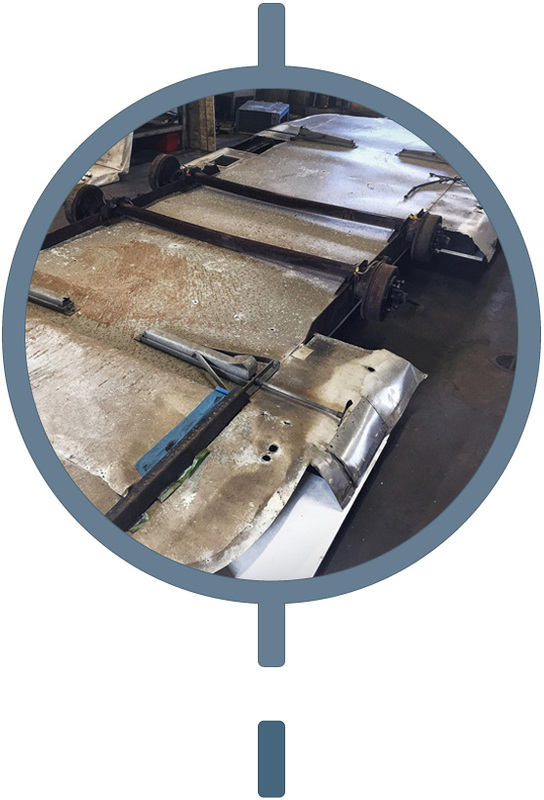 As people with a great passion for vintage and quality-built vehicles, it is our goal to save the remaining Airstream specimens that would otherwise be left to rot; giving them new life. Their undeniably unique shape and aluminum material make them the perfect vessel to showcase a product or event of any kind. They can be driven just about anywhere and come in a range of sizes from 16 feet in length, to over 30 feet. Airstreams offer much greater difficulty when altering their structure and designing their interiors compared to some other box trailers (SOBs), but we take that as a welcomed challenge. In the end, the hard work is worth the reward. There is nothing quite like the sight of a polished vintage trailer, freshly restored and ready for round two. 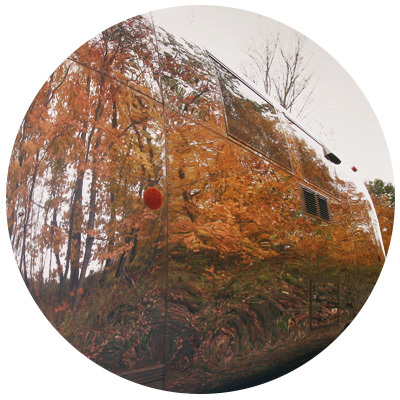 If you'd like to learn more about the Airstream travel trailer, dive into these sites or crack open a book: (SITES) Airstream's Official Site, Airstream Forums, (BOOKS) Wanderlust Airstream at 75, Chemical Free - Healthy Homes. When investing in your future happiness, every detail counts. 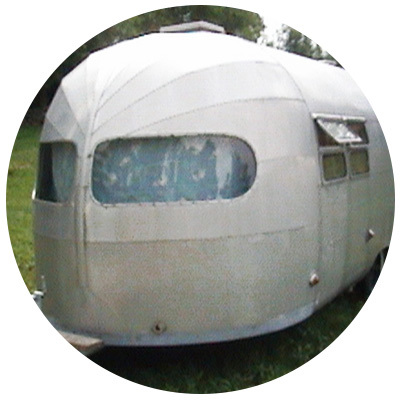 Our ESK team can help you locate the ideal Airstream length and model to fit your personality and basic needs. When it comes to Airstreams and custom fabrication, the sky is the limit. From vacation spots to fully-stocked year-round dwellings, ESK Productions has the expertise to build a mobile space that improves your daily routine. By adding an Airstream to your life you're not only getting a beautiful and reliable structure, but an undeniably timeless piece of history. These trailers come in all shapes and sizes. Through their unique characters we can find your perfect match. Using both innovation and our customization skills, we can help you build a space conformed to your lifestyle. There is no doubt about it, working with Airstreams is a tricky endeavor; one that many people jump into with misguided confidence and direction. This often results in a mess of troubles, poor quality work, or the scrapping of projects all-together. After customizing these travel trailers for decades, our team is equipped to handle such obstacles. At ESK Productions, we pride ourselves in offering state-of-the-art solutions and professional results. Every challenge accounted for, every detail refined." 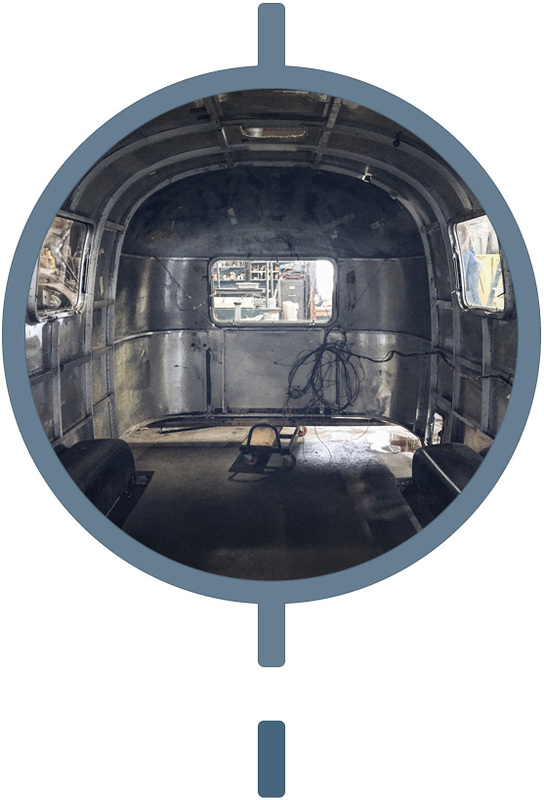 Contact us as soon as you are serious about commissioning an Airstream project so we can gauge the scope of work for you. Many people don't allow enough time for production, and expect it to be completed in a few months. In most cases that's not realistic. We recommend going though Stage One with us within 6 months to a year of wanting the project completed when possible. Our production schedule can fill up quickly, so putting a deposit down as soon as you're financially ready to commit is suggested. This ensures a guaranteed spot in line and gives you a projected end date. Still Find Yourself In A Rush? There is a chance our production line is open, so fill out a form right away. Sometimes we can fit a project in or have rush options available, just be sure to let us know in your project description. What Should You Be Ready To Spend? Before a renovation can take place a base trailer needs to exist and offer a solid foundation to build in. This budget typically covers the purchase of a trailer and the renovation of its frame, a new belly pan, a range of shell work, and system upgrades. Items that raise this amount are cosmetic structural work, upgrading system technologies (like automated elements), needing new axels, or high end materials being used. A newer model may require less restoration, but they're more expensive to buy. What Should You Be Ready To Answer? You won't always know what is possible in an Airstream project until you speak with a customization company, and that's totally fine! There is still plenty you can prepare before contacting us, however. Prioritize the elements that are important to your specific design, and what can be left to the wishlist if the budget gets tight. 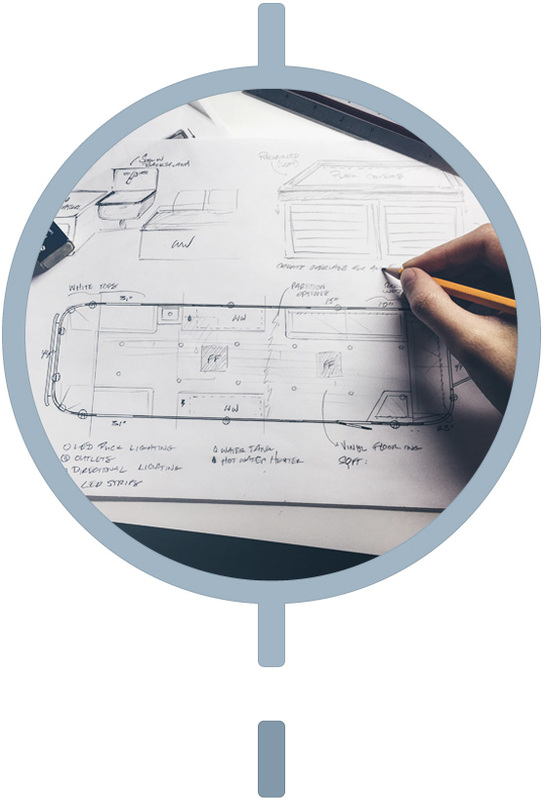 Understand your Airstream specifications, send us everything you know about it from the year and length to the condition of the floor or windows, etc. Be Informed! Take the time to figure out what needs to be included in your trailer. Some people hate having a bathroom, while others find it a necessity. Do you want to replace the appliances? Want a mirror finish on the exterior? There are a lot of elements to consider when planning your project. We have compiled a list of starter questions to jump start your brain in the right direction! 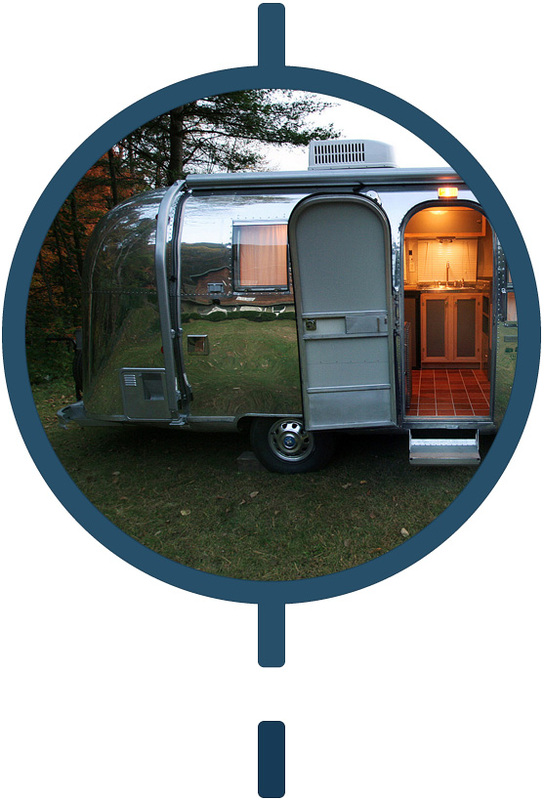 Use it as a guide to gather a list of must-have elements for your Airstream. Get Inspired! Collect imagery of designs you like on sites like Instagram or Pinterest. Don't stick just to Airstreams, search for pictures of structures and aesthetics you enjoy highlighting interior design, clothing, or even the outdoors. Our team can take the things you love or find pleasing and use it to inspire the overall design of your space. Does ESK Offer Chemical Free (MCS) Trailers? Sometimes, but it is not our main focus. Justin Taylor's former company Taylor Design Healthy Homes was known for this type of work but is now closed. If you have interest in having a trailer customized for extreme MCS, please contact us using the Airstream Form on the Contact Page and let us know about your sensitivities and current condition in the message section. Please note, we only take these projects in the $150k and above range due to a more extensive process and higher cost in materials, systems and detoxing fees. Ready for the next step in your Airstream Adventure? 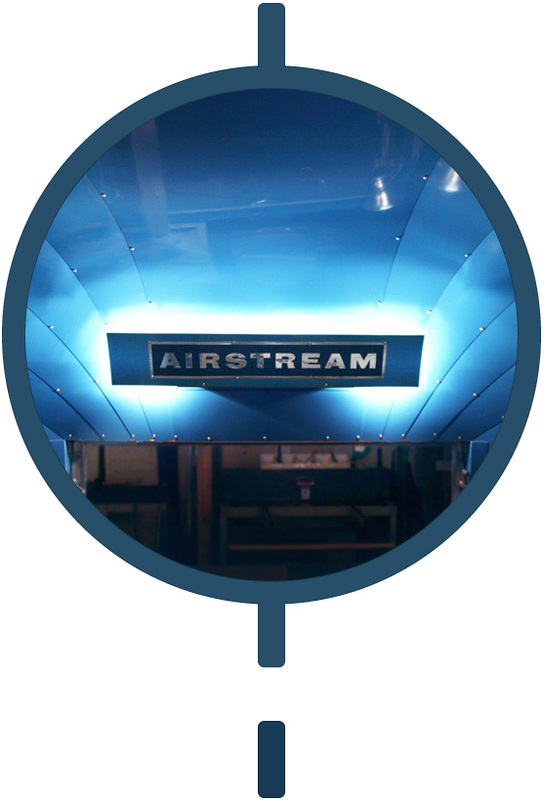 Now that you've been bit by the Airstream bug, we suggest doing some further digging across the site to view our work and learn more about what we can do for you. Sift through our previous work, commercial options, and frequently asked questions. Once you are confident with your project's direction, fill out a form in our contact section to connect. This will help us gauge the scope of work to get back to you with.